This renovation of an aging plaza on Market Street called for a new identity and signature design to accompany a redesigned lobby entry of the nearby 525 Market Street Tower. The plaza will be transformed into a cutting-edge and iconic public space in the downtown San Francisco area. 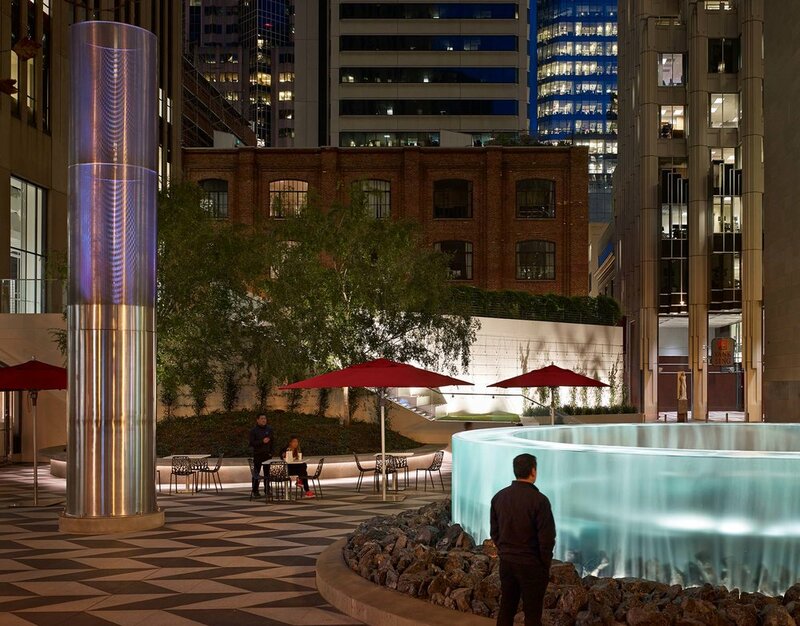 The plaza will feature an two-tiered circular water feature made of clear acrylic, the only one of its kind in San Francisco. A gentle cascade of water will flow over the edges of the acrylic walls, reflecting sunlight and creating a twinkling visual appeal. Night-time lighting of the water feature and the plaza will create an inviting atmosphere for evening activities. Adding to the plaza's unique design is the dramatic paving pattern of light and dark stone in a bold angular pattern. 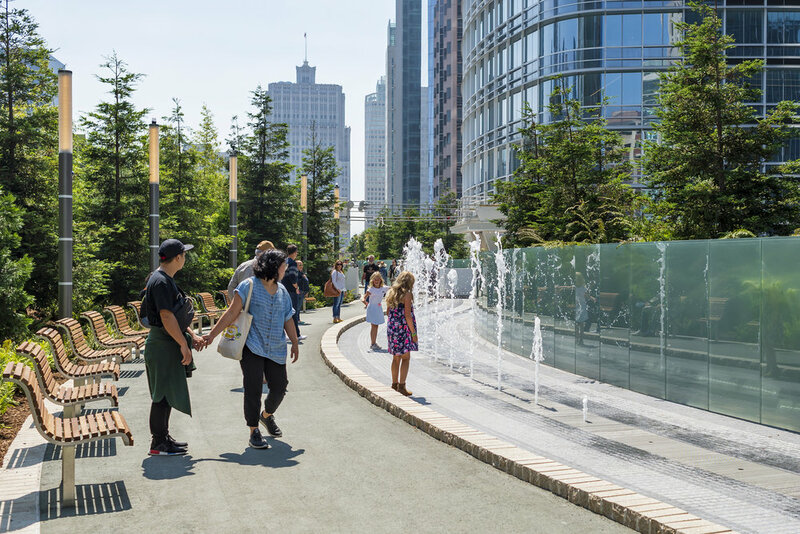 One of the few sunny plazas in downtown San Francisco, the plaza will feature a variety of seating opportunities so visitors can enjoy food and drinks from nearby vendors. Work performed at PWP Landscape Architecture. In collaboration with Keating Architecture and Nova Partners Construction.